One narrative of the now infamous ‘learn and earn program’ in Japan was that it was only a small group of students making noise and that the rest were doing just fine. This line was even pushed by the government and the Ministry of Labour and Human Resources, among others. 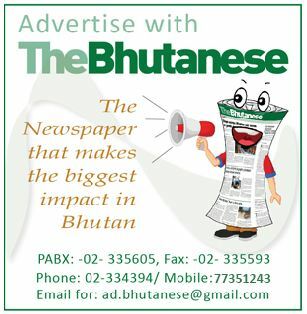 However, this misperception will soon stand to be corrected as under 500 students of the learn and earn program have given their power of attorney to the parents’ committee to file a case against the agent, Bhutan Employment Overseas (BEO). The two representatives from the parents’ committee are back in the country yesterday after a 20-day long visit to Japan. The visit was aimed at studying the ground realities of the youths who went through the ‘learn and earn’ program after the issue became more contentious in the country and also to garner tangible evidence against the agent, BEO. The main activity during the visit included meeting with students across all the 24 different language schools in Japan starting from Tokyo till Fukuoka and it explored suitable job opportunities for the students. The two members of the committee also met with the concerned authorities and held three different press conferences in Tokyo and Osaka to address issues faced by the Bhutanese youths in Japan. The Parents’ representatives accomplished the target of meeting with every student in Japan coming to a total of 583 students during the 20-day visit. Meeting with the students across 24 different language schools, the two representatives did a survey of the work status, overall living condition, and loan repayment situation and also issued a form to fill up- if the students wanted to give the power of attorney to join in and file a legal case against BEO. 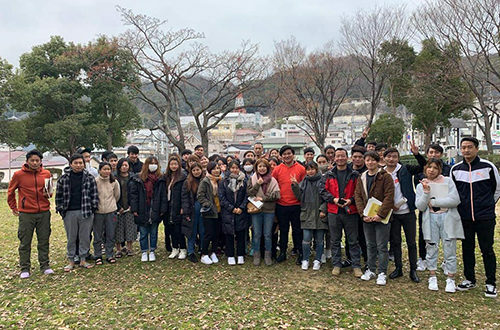 The youths were given time to fill the forms and send the forms via post to the representatives’ temporary addresses during their stay in Japan. Of the 583 forms given to be filled, more than 400 forms were received via post in Japan and the rest will be sent via students who will be returning to Bhutan by the first week of April. While the survey forms are yet to be verified, more than 400 students have signed the power of attorney according to the two parents’ representatives. They said so far only around five have not signed. Back in the country, of the total number of students who returned from Japan, over 50 students have signed the power of attorney so far. “This is just the estimated figure but we will confirm once we receive forms from all the students and rectify it,” said the committee lawyer Ngawang Tobgay, adding that there are more who want to sign. The case against BEO will be filed once all the power of attorneys are collected from the youths and parents who wish to take the matter to court. The case will be filed on the grounds of breach of contract by the agent for putting hundreds of youths into a distressing situation, debt on loan repayment and commission among other issues they have discovered in Japan. The decision to file a case against BEO is to ascertain the damages and seek justice according to the parents’ committee. Ngawang Tobgay said that it’s evident that the agent has not honored any of the principal provisions and terms of the employment agreement. By the first week of April 2019, around 200 youths will be returning back home owing to visa issues and conditions set by the language schools. Ngawang Tobgay said that while most are in dilemma with the hope of obtaining working visa some are yet to graduate as they joined later and so around 200 have decided to come back. 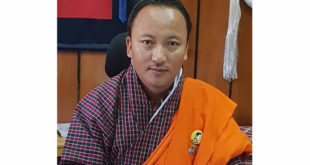 “It’s mostly that they don’t feel it worth to prolong their stay with indefinite status and a strenuous schedule,” said Ngawang. Recently, some language schools in Japan withheld the graduation certificates of the students if the students failed to show the air tickets to return to Bhutan even when the visa was valid for few more months. Some have already graduated while some are yet to graduate. 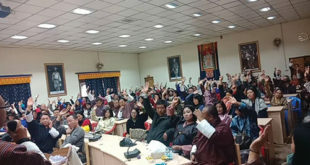 “Some students had the visa valid till November 2019 but schools do not want them to stay in Japan since they don’t want to take any risks involving the BEO students,” said Ngawang, adding that this is because the schools want to avoid any bad reputation on the issue. In a new finding this week, the representatives found that the language schools are charging double the amount of the actual rent for the dormitory provided by the schools. “The actual rent is 65,000 yen but the students are charged 125,000 yen in a month,” said Ngawang Tobgay and he added that the schools did not give reasons for such practice. 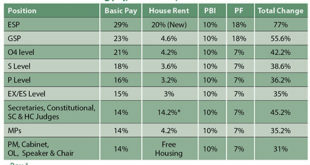 “This can be linked with another commission scheme by the agency. This is not going to end here, we will find out anyway,” said Ngawang. The parents also learned that the students were threatened via calls and messages by Jurmey Tshewang’s wife during the visit of the Prime Minister in 2017 for submitting a letter addressing a number of issues faced by the youths in Japan. “They have threatened and asked the students to revoke the letter for which we have the electronic evidence” said Ngawang. During the first week of the visit, the parents’ representatives found out that the employment agency SND, which is BEO’s partner agency in Japan, was collecting a percentage of the students’ pay. This was discovered after numerous students who were deployed by the agency noticed they weren’t receiving the actual standard amount. The amount also didn’t tally with the receipt of the wage rate and they learned from the companies themselves that a certain amount of the commission has to be paid to the agency as a commission for supplying manpower. The parents’ committee also came across Bhutanese students being held back by four language schools who had illegally taken away the passport of the students. Apart from visa worries and sustainability issues, the representatives during the second week of their visit also found out that it was not mandatory for the students to pass the language proficiency tests to obtain a working visa. This was contrary to what BEO had said entailing huge addition expenditure for students. Upon reaching Fukuoka prefecture, they also found out that some students had to pay tuition fee within the first four months of their reaching in Japan but according to the agreement between the BEO and the students, the students need not have to pay the school fees for one year and dormitory fees for six months upon reaching Japan and getting enrolled in the language schools. It was also found that the schools which are actually supposed to receive the school and dormitory fees from the BEO on behalf of the students haven’t received the amount due to which the schools have charged the amount from the individual students along with the penalty of failure to pay within the given duration.